Thank you for your understanding. This arrangement is an inconvenience to all so we hope that you can be patient with this attempt to keep the people who attend meetings at DCAP premises safe. Mothers of disabled children: in mourning or on the march? under the auspices of the Cape Town branch of IPCP (Institute of Psychoanalytic Child Psychotherapy). A 2 year infant Observation seminar will be facilitated in Cape Town starting end of January 2018. Infant Observation involves weekly visits to a family for two years with the intention of observing the development of the infant and his/her relationships from birth to 2 years of age from a psychoanalytic perspective. Observations are written up and discussed in weekly seminars with the seminar leader over the 2 year period. There will be approximately 33 seminars a year. There are 4 - 5 participants in the group. Cost: R200 per seminar. All seminars are paid for - whether attended or not. If you are interested in participating please contact Carol on 079 427 5217. I would like to meet with interested participants at 1 pm at 19 Alma Road on Friday 8 December to discuss general issues and answer questions about the process. If you cant make this meeting phone me and we will make another arrangement. In 2018 the seminars will take place in Kenilworth , on Wednesdays from 8.30 am to 9.45 am. Participants find their own families to observe - and you need to start looking for a family as soon as possible if you want to join the seminar. Our next meeting will be in NOVEMBER- our AGM on THURSDAY 19 November, 2016 at 7:30pm at the Out-patient Unit of the Division of Child & Adolescent Psychiatry, 46 Sawkins Road, Rondebosch. After a four year term serving you on the committee, we are all stepping down to allow for new leadership. We have received some nominations for the post of Chairperson, Secretary and Treasurer, but would welcome more. Please nominate candidates, arrange for a fellow (Paid Up) member to second, and send your nominations by email to us urgently. 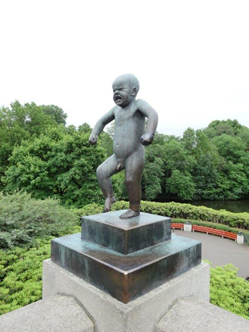 Previous Meeting- Nick Davies on the Masculine in Early Paternity– Nick challenged traditional gender stereotypes and defined the masculine paternal function as essential for baby, but did not link the function to being played exclusively by a man. The Otherness and later separation from Mother are vital to baby’s health and his stance is encouraging in the light of the many children who are raised without fathers, but still need masculine input. Thanks to Nick for travelling to us and clearly introducing us to Otherness. September Workshop: Alessandra Piontelli’spresentation provided a window into what is hidden and Professor Cora Smith did not disappoint! For those that chose to commit their time, it was a richly informative, stimulating and entertaining morning. Our thanks to the committee for their dedication in organizing the event. Our next meeting will be held on THURSDAY 15 September 2016 at 7:30pm at the Out-patient Unit of the Division of Child & Adolescent Psychiatry, 46 Sawkins Road, Rondebosch. Specially flying down from Johannesburg, Nick, a lecturer at Wits University explores changing paternal functioning. Exciting news! MPhil in Infant Mental Health is now up and ready to go. Please click here for more details. Alessandra Piontelli, a renowned international speaker based at the University of Milan, will challenge a number of popular notions about foetal life in her engaging voice-over PowerPoint presentation. 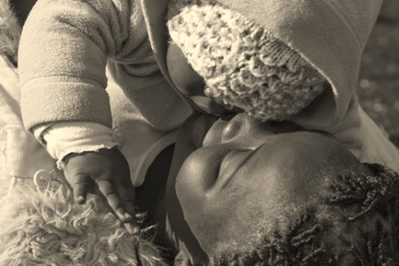 Cora Smith, the Chief Psychologist at the Charlotte Maxeke Hospital and who is part of the University of the Witwatersrand, will look at the ethical dilemmas of attachment and custodial rights in baby swop cases. Her lively case presentation will look at the complex task of balancing what is in the best interest of the children and their respective parents. This particular case was further complicated by various parental conflicts and custody issues, in addition to parental cultural beliefs. Our next meeting will be held on THURSDAY 21 July, 2016 at 7:30pm at the Out-patient Unit of the Division of Child & Adolescent Psychiatry, 46 Sawkins Road, Rondebosch. Prof Berg is developing a Master’s Program in Infant Mental Health at the University of Stellenbosch. She is currently involved in collaborative research projects as well as being active in professional organizations and policy implementation on provincial governmental level. A Few Admin Matters: The yearly subscription is R350. All fees due now. Non-member guest contribution is R50 (in a named envelope, please). Ad hoc guests are not eligible for CPD points. This month we present Feedback from the International Gathering of Infant Mental Health Professionals in Prague. Following a request to the Executive Committee of World Association for Infant Mental Health regarding the current registration fees for the upcoming WAIMH congress in Prague (29 May 2016 -2 June 2016), the EC has agreed to allow South African delegates to register under the “Lower Middle Income” status instead of the World Bank allocation of “upper middle income” status. This means that if you are interested in attending, you may now register for 155 Euro instead of 210 Euro. Please note the early bird registration closing date is 28 February 2016! Please share with colleagues who may be interested in attending. 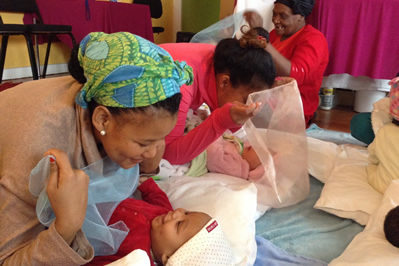 Thanks to funding from the Western Cape Association of Infant Mental Health, it has been possible to provide 8 groups of mothers with babies or toddlers living in shelters with access to the Baby Bonding Programme. This programme was developed by Debi Maskell-Graham of big toes little toes, a charitable incorporated organisation registered in England. It is a gentle and playful evidence-based approach to strengthen attachment relationships between parents/carers and their children. Secure attachment in infancy and early childhood, is strongly associated with improved emotional, social, intellectual and behavioural outcomes for children as well as mediating the impact of trauma and deprivation. To date, the 8-week course has been run at 3 shelters for abused women and their children, in low-income areas around Cape Town, reaching over 60 women so far. The results have been remarkably encouraging and the programme has been extremely well-received by the mothers, babies and organisations, with shelters requesting the course be repeated for each new group of mothers moving in. Our next meeting will be held on THURSDAY 18 February 1, 2016 at 7:30pm at the Out-patient Unit of the Division of Child & Adolescent Psychiatry, 46 Sawkins Road, Rondebosch. World famous author (many more than 150 publications) and amazing presenter, Joan now leads the Anna Freud Centre, London, in Psychoanalytic Research. Her career began in 1970 and Maternity and the newborn feature throughout her work. Babies and Beyond Magazine: We are again featured prominently in this March international publication. Our advertisement now features the myths about tantrums and 2 publications by WCAIMH members further advocate compassionate care for tiny tots. The WCAIMH Committee wish you a Happy New Year. Thursday 730 pm 21st January . Our next meeting will be held on THURSDAY 19 November at 7:30pm at the Out-patient Unit of the Division of Child & Adolescent Psychiatry, 46 Sawkins Road, Rondebosch. 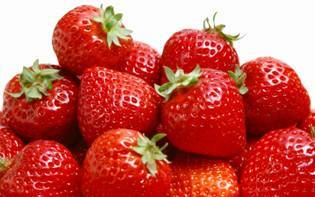 This AGM promises to be a delicious treat, a celebration of all that has been achieved this year for babies. Caroline Sullivan of Baby Bonding. It’s a non voting year so will just have a brief financial feedback for AGM. Community infant-mental-health-related project proposals welcome. Please get your proposals for 2016 to us without further delay. The yearly subscription is R350. at the Out-patient Unit of the Division of Child & Adolescent Psychiatry, 46 Sawkins Road, Rondebosch (Building A). Prof Kaija Puura is a member of the Finnish Child Psychiatric Association and the World Association for Infant Mental Health. She has authored or co-authored 40 peer reviewed articles, and chapters in both national and international books on assessment and treatment of young children. Her professional activities as a clinical child psychiatrist have involved combining research activities with clinical work in various projects both in primary care and mental health services. She received the WAIMH New Investigator Award (2002) and was appointed to associate executive director of the WAIMH 2009. 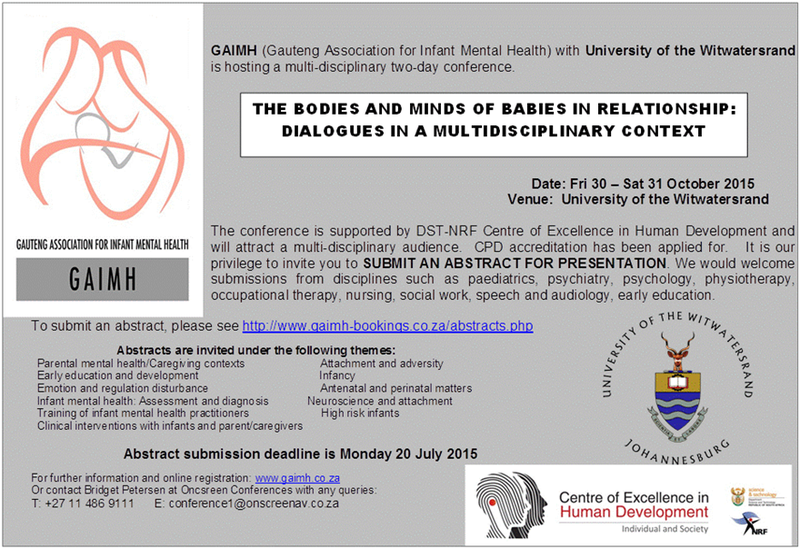 Early Bird Registrations for the GAIMH-SA conference close on 29 August. E-mail from Assisted Reproduction Information and Support (ARISE). There will be no meeting this Thursday the 16th July due to school vacation. Meeting to resume in August. Dr Zanda Jaquire : "Emotional problems accompanying surrogacy/egg and sperm donations"
Australian Association for Infant Mental Health Inc. Title: Finding your way with your baby. The emotional life of parents and babies. Judy Davies presents "Is Saying NO helpful to young children?" Prof Nancy Suchman (Yale University) on "Mothering from the inside out: supporting parenting mothers in recovery"
The WCAIMH donated money for their maternal home visiting community project in 2014 and we continue to donate towards this worthy project for 2015. A Few Admin Matters: The Early Bird annual subscription is R300(before 15 March) Please Eft promptly so the we can get off to a great start. Thereafter ,the yearly subscription is R350. Account no. 274916401. Branch code: 051001. Link to our website:www.infantmentalhealth.co.za– Any contributions for our website- articles or suggested books, would be appreciated. We welcome any input and suggestions. April Meeting: Multiple prems - a mother's journey"Celeste Rushby (O.T) shared her personal journey through neonate intensive care with three premmies. (Multiple Prems) Her humbling and oft disempowering experience has led to greater awareness of the vulnerability and alienation that Moms’ of Premature infants face and she is continuing her work in support groups. Thanks to Celeste for a riveting and frankly emotional presentation. June Meeting:MELANCHOLY AND MURDEROUS MOTHERS’ : Prof Lou- Marie Kruger gave a fascinating and moving account of the anger underlying maternal depression . She gave poignant case material which we could all resonate with. While the sadness is regarded more sympathetically, rage needs to be seen and heard in a holding space to give the parent-child dyad a chance to recover. Our thanks to Lou –Marie for shining a light into this shameful underbelly of depression. August meeting: Reactive Attachment Disorder in Infants: Prof Astrid Berg showed us a disturbing DVD of 4 infants in a baby home in Russia. 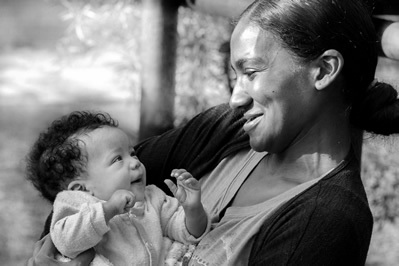 The subsequent trauma as shown in their Reaction Attachment Disorder’s , as a result of ‘revolving’ care from many care givers in an outwardly well run orphanage, was clearly and sadly evident .Our discomfort evoked much discussion on the need for media attention to infant’s needs for consistent one-on –one interaction and attunement. As a committee and organization we are committed to sharing this knowledge and welcome any input from members with ideas and\or connections to the media. Our thanks to Astrid for highlighting this crucial foundation stage and sharing her material with us. Following the wonderful conference in Cape Town we were very aware of the degree of exhaustion that most carers of Moms and Babies (and some in the committee) were experiencing, so we focused our year on Nurturing the Nurturers- A sweet moment was when Judith Davies offered a bowl of sweeties around to all of us as we were discussing maternal bereavement and loss. Containing our carers has been the prime focus with meetings richly informative, yet the tone gentle and supportive .Diversity has been embraced with presentersand attendees at WCAIMH monthly meetings coming from a wider range of professional backgrounds. The subsequent current atmosphere that every-one has something of value to contribute, has resulted in a richer knowledge that is shared through the presentations and through the subsequent discussions and sharing of experiences. This knowledge has then also been taken to a wider range of maternal-infant/professional interfaces. Our Official membership currently stands at 120 people but we have about 50 paid up members that are regularly attending in Cape Town. . The challenges faced are keeping the presentations of a high academic standard while allowing accessibility of knowledge to a mixed group of professionals. There is always a danger of losing the research/academic quality (with its impact on the community). We need to keep the group scientific yet grounded and practical too. Issues of governance and advocacy in our Affiliate– the governance is smoothly organised with a committee of 3 persons democratically elected for a 2 year term of office . Committees can stand for reelection should they wish too and if they have the memberships’ voted support. Chairperson, Treasurer and Secretary are chosen following a voting system by the members. Our members are made up of approximately two-thirds longstanding and one third newer (joined in the last 1 or 2 years) members. - Firstly our heartfelt congratulations at the smooth running of the CT 2012 conference. The technical support was of superb quality and presentations were easy to hear and see. I am very impressed by your BOP idea introducing speakers and their abbreviated ideas. It was difficult to make choices as to whom to attend in 2012 and the new speakers found it hard to have a voice. it was generally felt by our current committee that the conference did not bring together the Cape Town IMH community in any noticeable way. Individual sponsorships empowered certain individuals and was of great encouragement to them but we as an organisation have not been greatly impacted by the input. Its early days yet and seeds planted will take a while to grow. We are aware of the need to monitor growth and to stand by with early growing pains. In this respect , the financial benefit of the conference has allowed the Cape Town branch to support a community project for the first time which has taken the form of an ongoing support for a Mothers’ support group in a disadvantaged community initiated by The Parent Centre. Members of the multi- disciplinary team have visited new and at- risk mothers at their homes on an ongoing basis and have used a great deal of initiative when faced with external challenges like flooding and issues of personal safety. We remain open to financially assisting other organisations that directly serve the community and will serve to contain and hold the carers. As always,the knowledge that you are not alone is what brings Hope-to these beleaguered mothers,to the carers,and finally,the committee in Cape Town. It is so good to be part of a vibrant umbrella body like WAIMH. Armed with your recent provisional proposed Charter of Baby’s Rights, issues regarding withholding soothing have already been highlighted in our local Media- In both English and Afrikaans magazines . There are invitations issued to our committee to contribute, coming from journalists ,as we are being recognised as an advocate for the emotional well being of babies. As always we have to tread carefully and gently and make baby steps in new and kinder ways of nurturing, as we advocate Babies’ rights and the anticipated controversy. This was in line with our committee’s decision that the general public needed to made more aware of the maternal-infant issues on the ground and the valuable research-work combinations that are currently taking place. Our current committee is looking at a 2014 meeting presentation on infant and carers rights (advocacy role) and how these can be supported. A stand addressing the same topic at the local Baby Expo is also being investigated by the committee. Again knowing that we are well supported by the parent-umbrella body of the WAIMH makes the task of tackling and gently shaking rigid parental practices ,less daunting. Kerry Brown’s proposed SA presentation was unfortunately downgraded to Poster presentation but hopefully she can regroup and present at the next conference. Some committee members have the feeling of not being that well linked to WAIMH, but on our side we also need to make the effort to make connections more . Your website and newsletters are really important in this respect. We have no finalised plans to come to Edinburgh for the upcoming conference but I will certainly be at the next conference. Looking forward to closely working with you in the coming year,and wishing you great patience and wisdom as you march toward the Edinburgh conference. Please note that our monthly meetings have reverted back to the 3rd Thursday of the month. Account details: WCAIMH; Standard Bank, Rondebosch, Account no. 274916401. Branch code: 051001. Link to our website: www.infantmentalhealth.co.za – Any contributions for our website- articles or suggested books, would be appreciated. Bea Wirz(Clinical Social Worker), Mush Perrins (Occupational Therapist) and Katherine Megaw (Paediatric Dietician) will give us some brief insights into issues they deal with relating to infant’s relationship with food. Thereafter they will be open to respond to our specific dilemmas. This promises to be a lively and informative evening, so do join us just before you settle into the holidays. Our last meeting (in May) was presented by Nancy Suchman from Yale University. We were treated to interesting case material on video relating to assisting mothers to mentalise. In learning to see the “other” more accurately, the relationships grew and we observed infants and their mothers bonding and growing. Most importantly, it is research as rigorous as this that will enhance our credibility as Infant Health Workers. Our next meeting is on Thursday 9th May. Professor Suchman has a special interest in Mother-Child relations and the Neurobiology of parenting and addiction - and has agreed to give us this talk ahead of the workshop series she will be presenting. Please note that our following monthly meeting will revert to the 3rd Thursday of the month- 20 June 2013. Our last meeting (in March) was presented by Dr Nicola Dugmore- The Grandmaternal Transference. Our next meeting is on Thursday 9th April so that we can welcome Professor Nancy Suchman from Yale University to present “Mentalization-based parenting psychotherapy for at-risk parents caring for young children.”She has a special interest in Mother child- relations and the Neurobiology of parenting and addiction and has agreed to give us this talk ahead of the workshop series she will be presenting. Please note thatour following monthly meeting will revert to the 3rd Thursday of the month- 20 June 2013. “How can you both Love and Hate your baby?”- Addressing ambivalence in the parent-infant relationship. Authors Greg Fried and Lisa Lazarus of “ The Book Of Jacob” fame will be presenting and discussing both their baby experiences and the mixed responses their controversial book evoked. We plan to meet the on the third Thursday of every month, at 7.30pm until about 9pm at the Outpatient Unit in Sawkins Rd, Rosebank. Presentations usually take about 40 minutes with sometime after for questions and/or discussion. Copyright © 2019 Western Cape Association for Infant Mental Health. All rights reserved.